Josh Lockhart's "Modern PHP" is Here! Josh's new PHP book for O'Reilly Media is out! 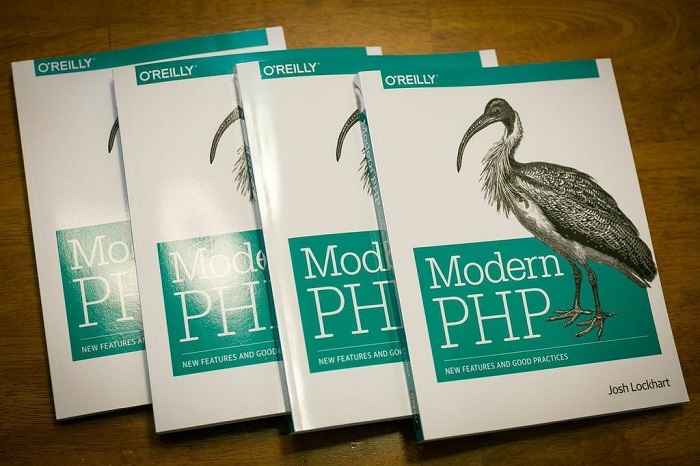 We're very excited to announce that our Senior Developer Josh Lockhart has published his book, Modern PHP. The book was published by O'Reilly, one of the most respected and formidable names in tech with more than 8,000 books and training videos published. Josh has grown to be a leader in the PHP community over the past few years by authoring the popular Slim Framework and spearheading the PHP The Right Way movement. These activities caught the eye of O'Reilly who asked Josh to write a couple of posts for their site and then to be the author of this new book. It has been a labor of love for the past year for Josh to craft this book on PHP's renaissance and looking at its new features and best practices. We're incredibly proud of this personal accompishment for Josh, and it also reinforces our value of keeping a deep bench at NMC and having a team made up of leaders in the field. We've already got copies dog-eared throughout our office, and we encourage you to go buy yours (or a whole set for your team) today.